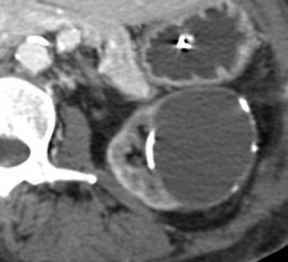 Figure 10 (A) SSD in a patient with one right and two left renal arteries. 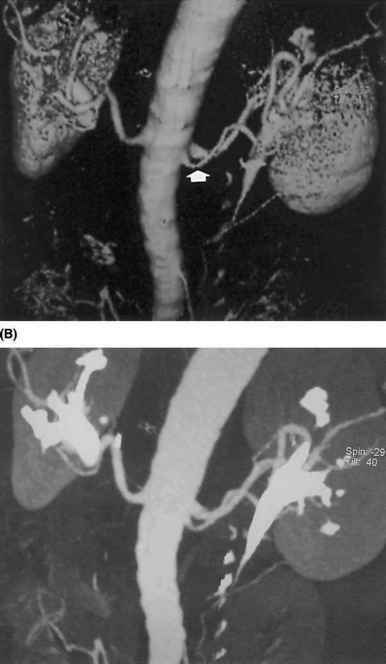 There is a nonostial stenosis of the lower of the left renal arteries (arrow). (B) Corresponding MIP image; note that the relative densities of the different structures are maintained here, whereas they are lost on the SSD. Abbreviations: SSD, surface-shaded display; MIP, maximum intensity projection. Source: Courtesy of Joe Brookes, The Middlesex Hospital, London.